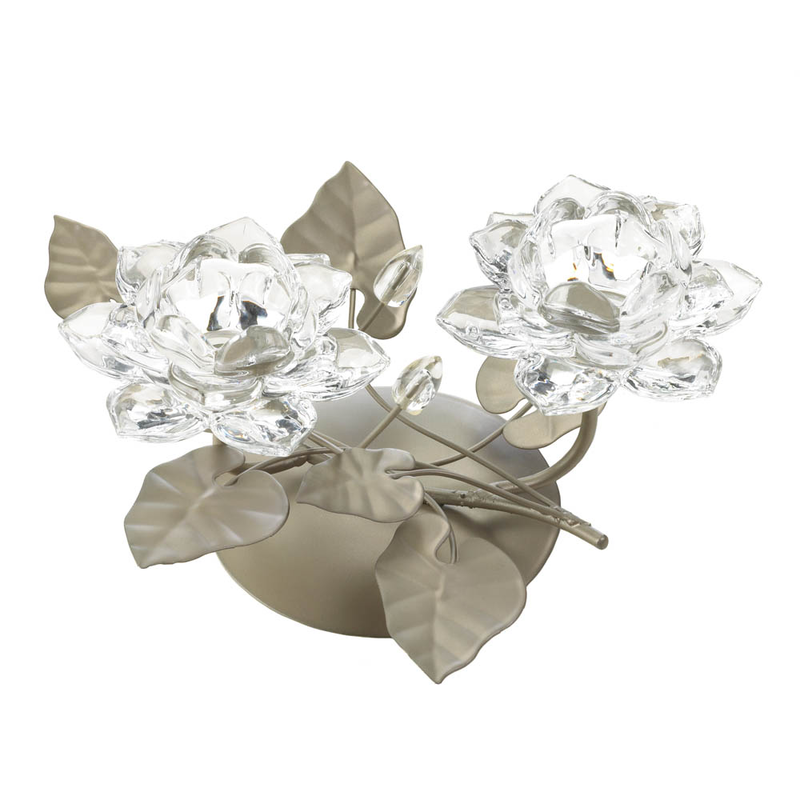 Decorate your table with shimmering style that will bloom with a little bit of candlelight. Two crystalline flowers are ready for the candles of your choice, and the gorgeous iron base features a circular stand and detailed leaves along with crystalline flower buds. Item weight: 2.2 lbs. 10" x 9" x 5" high. Iron and glass. Candles not included. UPC: 849179026592.